It's been very windy. Today I painted in the backyard, to be sheltered from the wind. 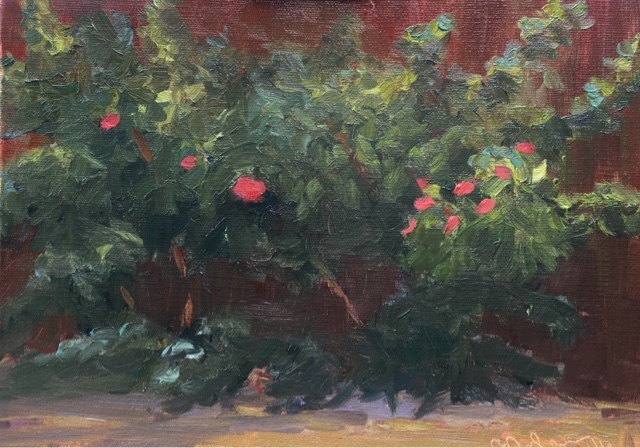 I painted the the last of the roses, 5" x 7" , oil on linen panel.